Left Handed Hex nuts are a general purpose nut, six sided, with internal screw threads. Left handed nuts can not be used with with right handed bolts. Our left handed nuts come is 4 sizes: 1/4-20, 5/16-18, 3/8-16, and 1/2-13. 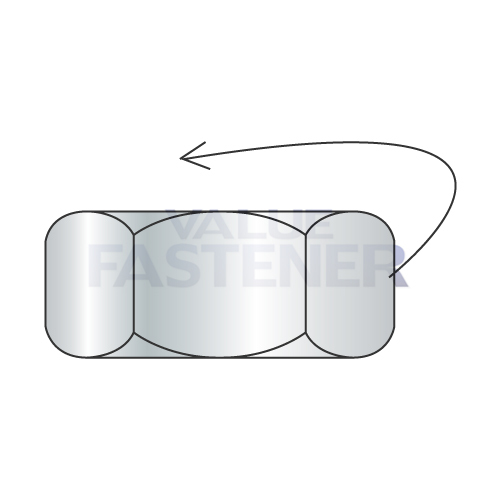 Value Fasteners high quality left handed nuts are available in steel with a zinc plating.